SG Iron as a replacement for Steel in Hydraulic Manifolds | Tucson Hydrocontrols Pvt. Ltd. Cast Iron is a material with a history stretching over two and a half millennia. The earliest recorded use of cast iron was in China in the 5th century BC and has since been used in almost every aspect of human life from cookware to cylinders, banisters to bridges and ovens to overhead gantry cranes. The last century saw many significant changes, both in the production and the material grades. One of these developments is the manufacture of continuously cast irons. 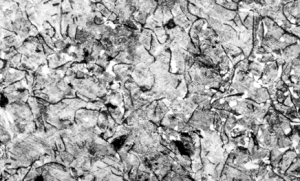 This process has seen the development of cast iron from the original low alloy grey/flake irons material through to today’s family of irons including the alloyed Ductile (Spheroidal Graphite or Nodular iron), developed in 1943 by Keith Millis, as an engineering material to meet the demands of ever more challenging environments, and compete with and improve on some steels. 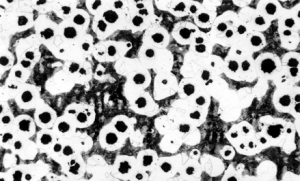 Ductile iron is not a single material but is part of a group of materials which can be produced to have a wide range of properties through control of the microstructure. The common defining characteristic of this group of materials is the shape of the graphite. In ductile irons, the graphite is in the form of nodules rather than flakes as it is in grey iron. The sharp shape of the flakes of graphite create stress concentration points within the metal matrix and the rounded shape of the nodules less so, thus inhibiting the creation of cracks and providing the enhanced ductility that gives the alloy its name. The formation of nodules is achieved by the addition of nodulizing elements, most commonly magnesium (note magnesium boils at 1100°C and iron melts at 1500°C) along with the less common Cerium, Tellurium and Yttrium. 1. The main furnace supplies the metal to one of many refractory lined receivers. There can be more than one receiver that is supplied by the main furnace. Each receiver, with a capacity of about 8 tons, has one die. A starter plug is used to start off the drawing process through the die. The die is kept cool by circulating coolant throughout the process. Eventually, the die will be destroyed completely. Once the bar starts to take shape, pulling rollers will continue the process of drawing out the bar. To maintain quality, the first few lengths are discarded, but not before undergoing quality checks to find out the composition. To make the eventual break off accurate and easy, a notch is made into the bar. A hydraulic ram cracks the bar into easily manageable sizes for storage and shipping. The nerve centre of the entire operation takes feedback from multiple locations to ensure only the finest quality iron is produced. The close grained structure of Ductile Iron gives excellent machinability, good wear resistance and ability to withstand hydraulic or pneumatic pressures. SG/Nodular iron is comparable to most low alloy/free cutting steels in this regard. Freedom from usual defects associated with other production methods/materials. Continuous cast SG Iron bars are recommended for applications in which heat dissipation is the priority, since graphite is an excellent heat conductor. The core of Continuous cast SG Iron bars remains liquid while the periphery is solid at the moment the bar exits the die and cooling system. Hence the bar undergoes a heat treatment, intrinsic to the process, from the inside to the outside. This releases the majority stresses in the Continuous cast SG Iron bars. Continuous cast SG Iron bars has high dimensional stability due to the low residual stresses during the slow unrestricted cooling, and a subsequent annealing process. Ideal for applications where machining is required, and subject to high pressure. There is an excellent dampening of both noise and vibration in flake and nodular due to the graphite in the structure. Continuous cast SG Iron bars offers high resistance to corrosion better than steel and as good in many cases as non-ferrous materials. Due to a self-lubricating network of graphite, tool wear resistance is improved. The absence of defects, as well the cohesion of the structure compared to sand cast products makes it the ideal material for applications where higher levels of fatigue strength are required. The nodular structure of Ductile Iron makes it extremely consummate for machining providing a more economical solution to regular steel. The machinability of Continuous cast SG Iron bars are improved over other materials due to the presence of microscopic particles of graphite in the structure which act as a lubricant. In addition to this, the homogeneity of its structure and the absence of the abrasive inclusions of sand which are typical in sand casting, improve machinability and therefore prolong the life of tools, drastically cutting costs. SG Iron has a lower density and hence is 12% lighter than comparative steel products. Continuous cast SG Iron bars eliminates need for costly patterns and dies and with no restriction on design or volume changes. This results in lower overall costs and quicker deliveries when compared with alternative production processes. Unlike steel which needs to be rolled (‘bright bars’) to achieve intermediate sizes, there is just one process to produce SG Iron continuous cast bars in any standard size or even shape (eg. semi circular, lobed) needed. Along with Sandvik Coromant, tests were carried out to check the various parameters under which various grades of SG Iron can outperform steel (S355 and AISI1212). SG Iron grades used were Unibar 400 or GGG40, Unibar 500 or GGG50, and Unibar 600 or GGG60. The results were tabulated as follows. The net power in kilowatts required to machine the same dimensions of SG Iron and Steel. 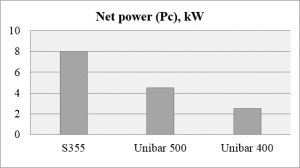 While Unibar 500-7 with ceramic additives needed far more power to machine than steel, the standard grades of 500-7 and 400-15 fared much better than steel using almost half the power. SG Iron fared much better than steel (1800 Mpa) with almost 21% less force generation for Unibar 500-7 (1350 MPa). 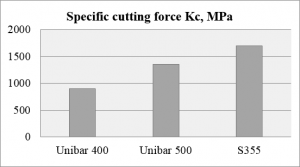 Unibar 400-15 required almost half the force of steel with a reduction of 47% in the cutting force at 900 MPa. The annealed nature of the grade has a much lower requirement in cutting forces. Machinability rating of the 1212 Steel used was about 80%. 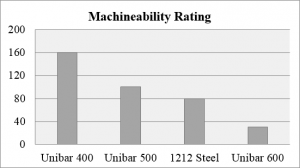 Most SG Iron grades fared much better with Unibar 500 touching the baseline at 100% and the annealed Unibar 400 going up to 160% machinability The rating for Unibar 600 was a lot lower at 30%. In conclusion we see that not only does continuous cast SG Iron provide all the features of steel, it surpasses most steels in the same areas. Careful selection of the correct grade for the application will result in cost savings not only in terms of material used, but also in overall reduction of overheads and tooling costs.